Option Agreements with other lease or purchase conract attached – when the binding contract is formed. Option agreements for sale or lease of property often have a form of lease or purchase agreement attached, to be entered on exercising the option. The expectation is that, if the option is exercised, the attached contract will be signed by the parties and govern the transaction. Occasionally the option will contain all the terms, and not attach a form contract, and may or may not refer to entering an agreement. Sacramento and ElDorado real estate attorneys advise clients to prepare the Agreement and attach it to the option, otherwise there could be a dispute when the option was exercised. In pone such case, after the option to lease property was exercised, the property owner backed out. His legal argument was that the option was only a contract to enter a contract, and did not affect title to his property. The court said no, in this case, the option was sufficient as a lease. 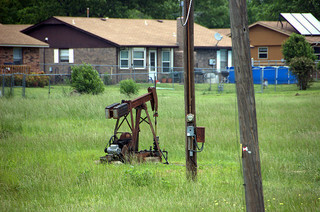 In John Gavina v. Lon Smith, Plaintiff Gavina granted Defendant an option for an oil and gas lease on Gavina’s property. The option stated all the details of the lease, (set out below), but also had an attached lease form that, on exercise of the option, was to be signed by the parties. Smith exercised the option and deposited the money in escrow. Gavina refused to accept the money from the escrow, did not sign the formal lease form, offered to give Smith the option fee back. Essentially, they told Smith to get lost. The lawsuit resulted. The judge was not impressed by Gavina’s conduct. Because of the nature of the suit (quiet title), it first addressed the question of whether the option itself created a contract, or was merely an executable contract to make a lease. It found the intent of the parties, as expressed in the option agreement, to set forth in both the option and the attached form of lease all the terms and conditions on which Gavina’s offer to lease was made. By exercising the option, Smith accepted the offer and agreed to the lease on the those terms. The requirement of a written lease was satisfied. (Statute of Frauds) Nothing more was required to make a binding lease. “Where the parties, however, have agreed in writing upon the essential terms of the lease, there is a binding lease, even though a formal instrument is to be prepared and signed later. The formal instrument may be more convenient for purposes of recordation and better designed to prevent misunderstanding than the other writings but it is not essential to the existence of the lease.” Just because they expected to enter a written lease does not let them off the hook for a contract they already signed. The decision had a caveat, though, to reign in its impact. “Since the execution of the formal contract would add nothing to what the parties had already agreed upon,” there is no reason to say that the agreement they had made was not enforceable. The question raised is that, if the lease contract that was attached added any terms or conditions, would that make a difference? In this case, probably not. I think the court would have found an intent that the terms of the attached lease were incorporated into the option agreement. Thus, they were already agreed to. But what if the lease agreement had not been attached, and the option indicated that it was subject to entering a formal lease agreement? This is the same language used at superior court settlement conferences in California, they are often “subject to entering a formal settlement agreement,” or “formal documentation of releases,” or something similar. The parties get the case ‘settled,’ so it is taken off the trial calendar, everybody sighs relief, and then the negotiating over the formal settlement agreement gets complicated, maybe even falling apart, and the parties go back to set a trial date. -Rent was $1.00 per acre per year payable in advance. -If drilling operations were not commenced within one year from the date of the lease, the lessee could extend the period of the lease for four years by paying $1.00 per acre for each year. -Plaintiffs’ royalty was to be one-eighth of all production. -Surface rights were to be retained by plaintiffs for agricultural purposes. -On the exercise by defendant of the option and the payment in advance to plaintiffs of a rental of $1.00 per acre for one year, plaintiffs agreed to execute and deliver a completed oil and gas lease on the attached form. -The money for the rental could be deposited in escrow with instructions that it be paid to the lessors upon receipt of the executed oil and gas lease.